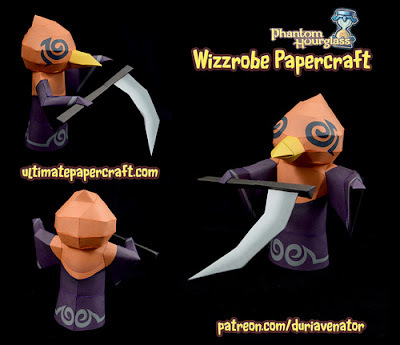 Wizzrobes made a small appearance in the Legend of Zelda: Phantom Hourglass, in the Temple of The Ocean King. They appeared in the later floors and had the ability to turn invisible and pass through walls. Getting hit by one would take away some of the time in your hourglass, but killing them rewards extra time. Their design kept the bird motif from Wind Waker, but added a scythe, marking the first time a wizzrobe used a physical weapon.